Erwlon Caravan & Camping Park es un camping en Llandovery, Carmarthenshire, situado del río/arroyo. El camping tiene plazas con cercos, sin sombra y parcelas con algo de sombra. Cabe alquilar bungalós. Este inspector visita cada año al Erwlon Caravan & Camping Park y lo inspecciona considerando más de 200 servicios y otros aspectos importantes. El inspector es un trabajador de ACSI y no trabaja para el camping. We had a lovely stay on the caravan park, very convenient to the local town and plenty to do, will be back to stay in the Glamping Pods soon. This is one of our favourite sites and we visit here quite regularly. Very clean site with excellent toilet facilities. Just a short walk into the town of Llandovery where there are a lot of shops, cafes and restaurants. Most of the pubs are dog friendly and there is also a co-op very close to the site. it is also good because you can walk into town which i always find to be a bonus, if the weather is ok i would advocate a grass pitch at the top end they are a lot more spacious. ¿Desea reservar u obtener más información sobre su camping Erwlon Caravan & Camping Park? Puede hacerlo mediante los datos siguientes o a través de la web del camping. El camping está en la A40, 1 km al este de Llandovery. 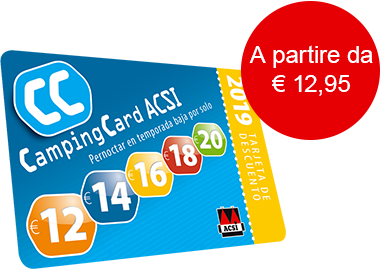 ACSI Eurocampings reenvía su solicitud de información al "Erwlon Caravan & Camping Park".